Focusing on transboundary freshwater, the GEF has together with its implementing and executing partners financed a total of 101 projects, in 44 distinct rivers, 9 aquifers and 14 lakes. These investments totaled $567 million USD in grant financing, leveraging $2.66 billion USD in co-financing. Earlier this week, a new UN report issued a dire warning saying that 3.6 billion people, or half the world's population, already live in areas where water can be scarce for at least one month a year. Projections are that this number could go up to 5.7 billion people by 2050 if business as usual continues. 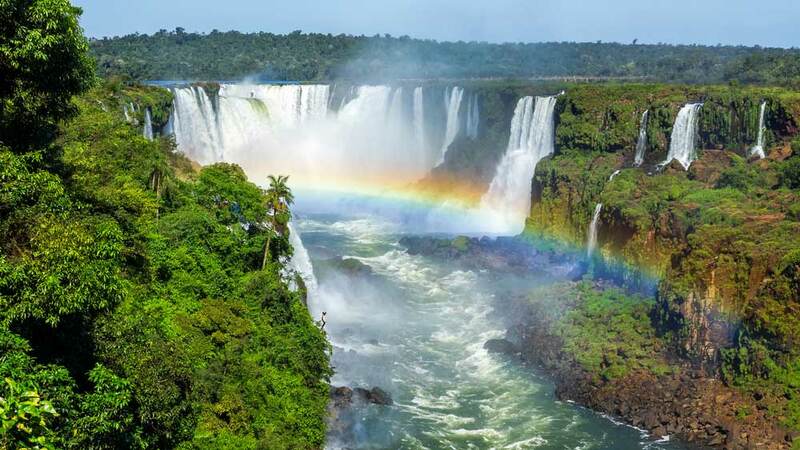 The World Water Development Report 2018, entitled “Nature-based Solutions for Water,” was launched in Brasilia in advance of UN World Water Day, an event celebrated every year on March 22. This year’s theme is nature based solutions (NBS): the answer to reducing pollution, droughts and floods lies in nature. To address these urgent challenges and to share ideas and help identify solutions to the growing water crisis, the Global Environment Facility (GEF) joined other organizations at the 8th World Water Forum (WWF) in Brasilia - the largest gathering on freshwater issues worldwide. The GEF is among the largest grant investors in multi-country collaborations on shared water systems. Since its inception, primarily through its International Waters focal area, it has been financing transboundary water cooperation across shared fresh and marine water systems. The Amazon is the single largest repository of biodiversity on the planet while also supporting more than 33 million people living in the Amazon watershed, deriving their livelihoods from its forests, rivers and tributaries. A new GEF project, launched at the World Water Forum this week will build on the existing GEF Amazon Sustainable Landscape Program. With an investment of USD $120 million, the new “Strategic Action Programme” will enable countries to fully integrate the management of the water and land resources of the Amazon Basin. The GEF/WWF Danube River Basin Hydromorphology and River Restoration (DYNA) project is an example of GEF support to the nature based solutions approach. The project plays a key role advancing flood risk management across the East European non-EU member states. The conservation and the restoration of the natural functions of wetlands and floodplains, produces benefits at the transboundary, national and local levels related to protection of quality of drinking water, groundwater supplies replenished by floodplain ecosystems, biological diversity in restored floodplains and adjacent rivers, and additional floodplain wetland ecosystem goods and services.